Arapahoe Central Vacuum is an authorized MD dealer on the Colorado Front Range. 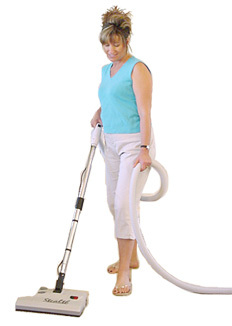 The MD Silent Master and MD Flo Master are two of the best central vacuums on the market. We sell, service, and support all MD products. Retro-fitting central vacuums is our speciality, however we have hundreds of new construction projects under our tool belts. If you are looking for a new powerhead, we can meet your expectations, well within your budget, with a Stealth, Ace, Black Hawk, or Turbo Cat. Got a clog? A loss in suction can be easily remidied. We service all central vacuum systems, from bagged systems like MD, Drain Vac, and Nutone, to the bottom-dump style, cyclonic vacuums, like Vacuflo and Beam. Are you on the Rocky Mountain Front Range? We service a majority of the population in Colorado, including the foothills and mountain communnities. Arapahoe Central Vacuum staff are experts at installing the retractable hose, the Hide-A-Hose inlet. 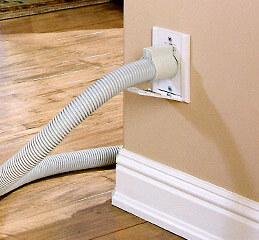 Other specialty inlets we have experience with are the Vac Pan (the floor sweep) and Vroom (the cabinet hose). Give us a call at 303-761-0729 for a new construction or remodel quote. We have replacement equipment for any system. Your central vac can be up and running today! DIYs (Do It Yourselfers) can find all the fittings, pipe, VacPans, HideAHose inlets, super values, and PVC pipe you need with us. We service all brands of central vacuums, no matter how old, or how rare. Maybe you've seen us at the Home and Garden Show at the Denver Convention Center each winter. We are the people sucking up socks with our powerful Silent Master and FloMaster central vacuums. You may know us by the Hide-A-Hose retractable hose system too. Arapahoe Central Vacuum has sold more Hide-A-hose central vacuum systems than all the other central vacuum dealers in Colorado combined. 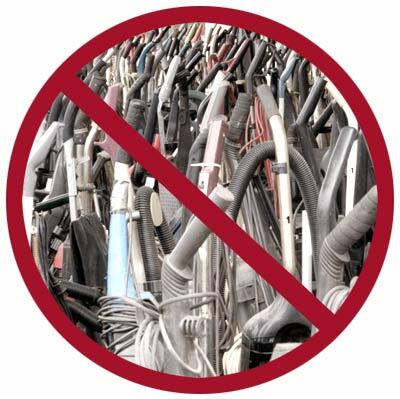 ACV was the first central vacuum company in Colorado to feature the Hide-A-Hose system. If it's Hide-A-Hose, the retractable central vacuum hose, it was probably installed by Arapahoe Central Vacuum. There are many great central vacuum products available in the United States and Colorado, ACV has represented some of the best equipment since 2000, including central vacuum units Silent Master, Flow Master, Air Master, Stealth Powerhead, Ace Powerhead, and Turbo Cat. Other nifty cleaning accessories for your central vacuum include the VacPan, Vroom, hose sock, and floor tool. We operate out of Littleton, Colorado, just south of Englewood. ACV services the Colorado Front Range communities, from Arvada, Green Valley Ranch, Lakewood, and Boulder, to Parker, Higlands Ranch, Aurora, and Ken Caryl. 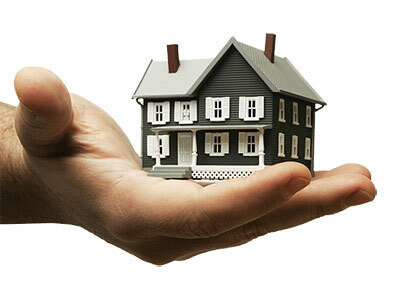 We come to you wherever you live in the Denver Metro area. We've all experienced it at least once in our lives. Hauling a vacuum cleaner up and down stairs. Trying to navigate under and between furniture. Examining a room after putting the vacuum cleaner away and having an odd sense that the room seems dustier than when you began. Worst of all, finding ourselves back at the stores every few years to purchase yet another vacuum cleaner because the old one fell apart. Installing a central vacuum system is the answer to all these complaints. Why, then, don't more people have one? In a word, profit. The truth is, even though central vacuums are superior to regular vacuums, big name central vacuum manufacturers can make more money selling portable vacuum cleaners at more regular intervals than selling their central vacuum systems. These manufacturers have the money to nationally advertise central vacuums, but they choose not to. If you're like most homeowners, you're probably not too familiar with central vacuum systems. For instance, some people mistakenly believe that installing a centralized system in a pre-existing home will cause property damage, but this is not true (see item #7 below). So here are seven simple reasons why you should consider installing a central vacuum system in your home. Most of us are so accustomed to the noisy racket vacuum cleaners make, we don't think twice about turning it on, even if someone is trying to sleep or talk on the phone. We assume that noise just comes with the territory. Believe it or not, noise doesn't "come with the territory" if you have a central vacuum system. In fact, there is an absence of noise because the source of noise (the motor) is not in the house but is centrally located elsewhere, such as the basement or garage. Think of it as the dawning of a new era where vacuuming and life can actually coexist for the first time. Okay, so we can agree that very few love to do household chores. However, we can also agree that using a central vacuum system makes cleaning and dusting as close to painless as one can come, and some may even call it fun. Forget about lugging around a bulky canister or hauling an unwieldy upright around the house. No more standing on chairs trying to reach high ceilings only to come a few feet short. A spill on the top shelf of the top cabinet? No problem. Dust-covered ceiling fans? Piece of cake. Cat hair on sofas? Carpeted stairs? Screen doors, vents, appliances, you name it. 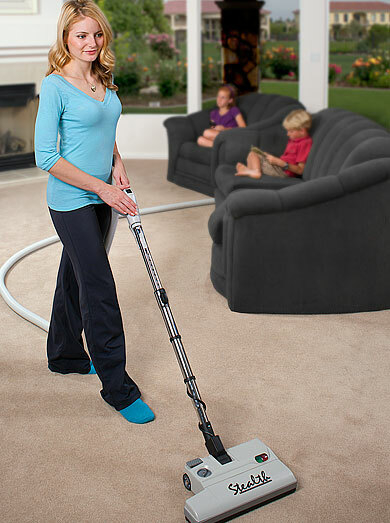 What other vacuuming system lets you clean every nook and cranny of the house so quickly and effectively? One of the first things central vacuum owners realize is how much cleaner the air inside their home is once they start using their systems. Allergy sufferers in particular notice an immediate reduction in their symptoms. In fact, science has proven that using a central vacuum system actually alleviates allergy symptoms. The reason for this is simple: unlike portable vacuums that recycle vacuumed allergens back into the air, the central vacuum system draws these allergens out of the house and into the basement or garage, where they are then exhausted outdoors. Portable vacuum cleaners cannot promise the same results because they do not transport the allergens outside of the living environment. 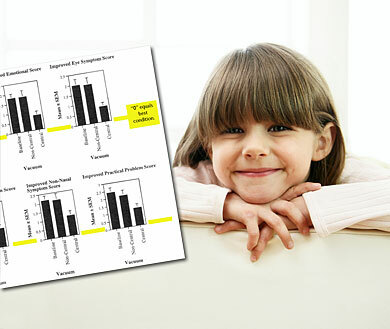 Read the UC Davis Central Vacuum Clinical Study (PDF) http://builtinvacuum.com/downloads/Clinical-Study-Central-Vacuum.pdf. Furniture and carpets inside the home aren't the only surfaces that collect dust. Nooks and crannies outside the home can benefit from the power and efficiency of a central vacuum system too. The long central vacuum hose makes easy work of cars, trucks, vans, boats, or RV's. Whether your garage is shrouded in cobwebs or is a neatly-organized area for crafts or woodworking, a central vacuum system is ideal. It doesn't stir up dust like broom sweeping and is a lot less cumbersome than dragging a portable machine outside. 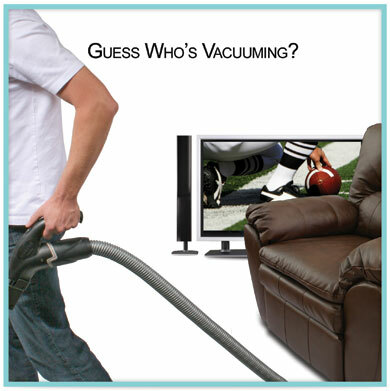 In fact, 80% of men report they vacuum more when a central vacuum is installed. The most common reason? "It feels more like a power tool than a household appliance." Central vacuums extract not only surface dust, but also the deep grit and particulates that age carpet. It has been proven a central vacuum helps protect your investment, by preserving the look, texture, nap, color, and feel of your carpeting. Dusting with a central vacuum brings a level of clean to your hard surfaces, upolstery, and furniture that no portable vacuum, cloth, or feather duster can. It's a clean that lasts. 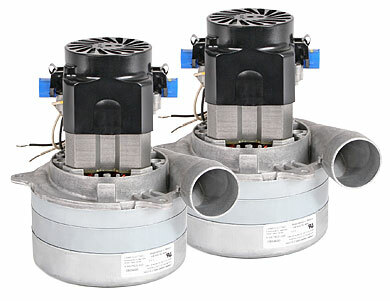 The powerful stationary central vacuum motor(s), can be up to three times stronger than standard upright vacuum motors. Unlike portable vacuum cleaners, the central vacuum motor lasts longer, allowing it to do its primary job, which is to provide consistent, strong suction through the PVC network. Most shoppers don't regard purchases such as household appliances as investments. Yet installing a central vacuum not only saves money over time, it also adds value to your property. As a long-term investment, dollars spent installing a central vacuum system in a newly built or existing home is money that will come back when the property is sold. Central vacuum systems last longer than portable vacuum cleaners. While most portable vacuum cleaners need to be replaced every few years on average, by contrast, central vacuum owners can usually go ten years before they even think about replacing accessories or scheduling maintenance.